← What’s Growing in Your Soil? I watched my young son walk by her on his way toward me at dismissal time. She waved a tiny wave at him, and he waved sheepishly back, giving a quick smile. What? Oh, dear Jesus, please tell me. I want to know where that supply of grace is. Little Man seemed to tap right into it and out of the overflow, he worried about the feelings of someone who shared a sad year with him—someone who was just as stuck as he was that year. Don’t we all have moments, seasons, years like that? Because I feel so protective of our beautiful school community and the teachers and other staff within those walls, the details of their sad year don’t really need to be told here. Suffice it to say that sadness was matched with unrelated sadness, and it made it hard for Little Man to climb out of his own lack of functioning and depression. My mama heart was all over the map that year because God had given me a heart for both sides of the coin, all parts of the situation, and He kept me humble when in my own pain, I wanted to lash out at anyone and anything. Little Man’s pain became mine, but God loved (and still loves) everyone in the situation. He wouldn’t let me be anything but kind. That’s how God is. That wasn’t me at all. It’s just that once He has gotten hold of our heart, once we’ve given it to Him, love spills out. It covers my sin, my offenses. Oh, thank God that it does! My heart is so ugly without the covering of the cross—the defeat of my sin and death on that cross. My son and his former teacher weren’t being fake with each other. I really didn’t get that sense when I quietly observed this from the school foyer. What I saw was an understanding of time passed, hearts healed, and maybe even a sigh of: “Hey, I think we might be in a better place now.” Their situations were different, but they had collided into each other’s pain that year. Know the feeling? Don’t we all come slamming into someone else’s wound now and again, and it opens our own? He likes me to know I don’t know everything or the end of the story, because it’s there my heart is open to listen and to learn what He wants to teach me about Himself. That’s where trust comes in. That’s what keeps me talking to Him. Because I really don’t know, and I’m really not in control. Because I don’t know the #endofthestory, that’s where my heart is open to what #God wants to teach me. That’s what keeps me #talkingtoGod. He knew I would watch from a respectful distance while He brought closure to something in the last few days of the school year before we moved on to another building next year. He also knew I needed to see Little Man pour out Jesus love and have it be received. Jesus love is the best thing ever. If we believe in Christ, we can have never-ending scoops of it. It’s ours for the taking. Doesn’t that sound so nice? Supernatural amounts of infinitely deep love? But the thing about Jesus love is: It has to be given away. And Little Man gave it away that day. Freely. I believe she caught it because she wanted to. You know what? God planned this love from the very beginning for you and for me. He will cover you with his pinions, and under his wings you will find refuge; his faithfulness is a shield and buckler (emphasis mine). What can love cover in your life right now? 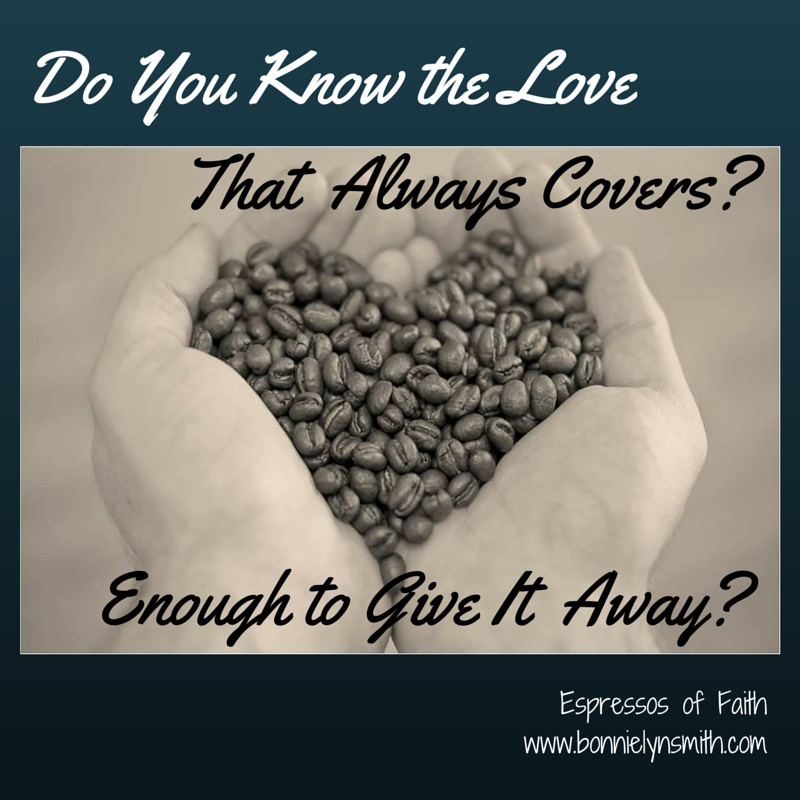 Have you pursued that amazing Jesus love and found the covering under His wings? It’s a peaceful place to stroll because under the shadow of the Almighty, hearts heal safely, smiles flow freely, and love always covers the pain or offenses of yesterday. The well of Jesus love never runs dry. Won’t you join Little Man and take some, quench your thirst, and then turn around and fearlessly give it away? **It has also been shared at any link highlighted here: Mom 2 Mom Monday Link-Up, Make a Difference Mondays, Pick Your Pin Tuesday, Women With Intention Wednesdays, Grace & Truth, A Little R & R, RaRa Link-Up, Dance With Jesus, Blessing Counters, Coffee & Conversation, Saturday Soiree, Tell His Story, Find Stability, Breakthrough Link-Up, So Much at Home, Faith-Filled Fridays, Reflect His Love and Glory Link-Up, and Christian Mommy Blogger. So, so good. I’ve been on the teacher end and the parent end. Grace upon grace! I love the “never-ending scoops” of love quote. It’s salve to our souls when our kids are mature enough to extend the olive branch, isn’t it? Hi, Ruthie…thank you for all your kindness about this story. It is indeed salve to our souls…great way to put it! Little Man was able to move on, which let me know I had to as well. Teacher end and parent end…both so hard! Thanks so much for leaving me comments! Blessings to you! I felt such a peace over your situation. (Even though you didn’t actually share the details) I sensed a heavy heart made light. Beautiful! So glad your son has some peace over his year too. School can be SO hard for the little guys. My oldest had a super hard time when he was younger. Adrienne….thank you so much for this. Your comments were so timely and ministered to me so much. I really appreciate it. Yes, such a struggle. There is peace over the situation, now, but I needed God to show me that through my Little Man. He is so faithful! Blessings! Thanks for coming by! I need to catch up on my blog-reading…. Oh boy, this ministered to my heart so much today. Your son is such a testimony to grace. In how he handles his life, and how he offers his heart to others. Sometimes it’s so very tempting to withdraw when we’ve been hurt. To turtle up inside where the soft parts aren’t vulnerable anymore, where we choose to wear a shell of protection. But if Jesus teaches us anything, He teaches us how to risk rejection in order to achieve the greater goal of offering love. Sharon….your words are so soothing to me! I read them several times! I particularly meditated on: “He teaches us how to risk rejection….” You nailed the call to love! That’s exactly it! Thank you for ministering to me! Blessings! As a teacher, I love that smile of grace your son shared with his teacher. God’s grace is so amazing! I could feel your year of emotions through your post. Thank you for using wisdom about what to share and what not to. Blessings! Stopping by from Reflect. Oh, I love hearing the perspective of a teacher on this one! Thanks, Jann! Yes, protecting these hearts is important to me. Don’t we all need do-overs sometimes? Some seasons are just really hard. Blessings to you! Love #Reflect! This is beautiful comfort. You offer a safe resting place in these words. Thank you. Cheering you from the #RaRalinkup on PurposefulFaith. Kelly, so kind of you to stop by! I love my stops at #RaRaLinkup and #PurposefulFaith! Blessings to you! Thank you, Meg! I really appreciate you coming by and leaving a comment! 🙂 It’s so helpful to know when people can relate! Blessings on your week as well! 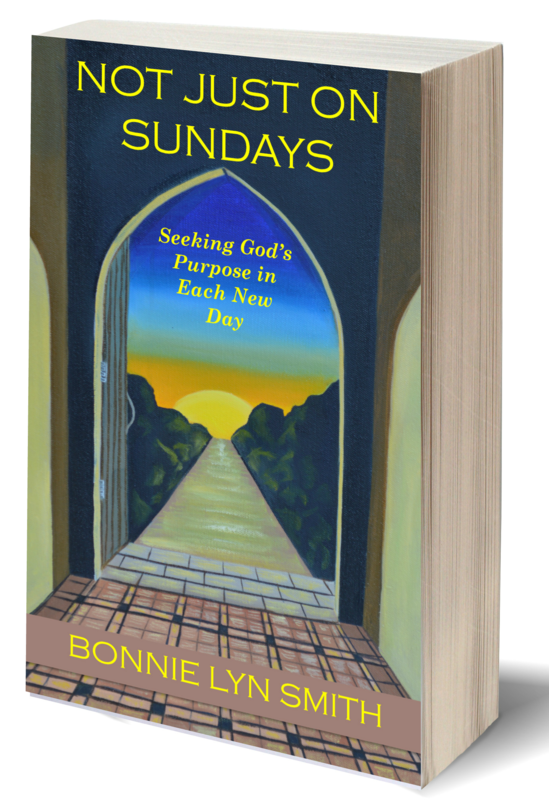 Bonnie, what a great story and a great reminder of who is ultimately in control. Such great little nuggets of word and truth. Praise God.